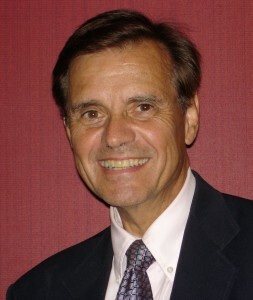 Johnson County Auditor Tom Slockett in June 2012 filed an appeal to a reprimand for campaigning as freely as his opponents. Slockett, with the assistance of the American Civil Liberties Union of Iowa, filed an appeal to a reprimand that he received from the Iowa Ethics and Campaign Disclosure Board in May. The reprimand stemmed from Slockett’s making campaign calls on his private cell phone from his county office. Slockett has been the Johnson County auditor and elections commissioner since 1977. In June, he lost by a decisive margin in the Democratic primary to opponent Travis Weipert. Slockett will officially leave his post when his term expires at the end of this year. The election loss followed a complaint that Slockett had committed four violations of the Iowa code that govern using public money for political purposes. In May, two of the allegations were dismissed by the board. The third dealt with whether Slockett’s opponents had opportunity to distribute their petitions to get onto the ballot by placing them in the auditor’s office. This third allegation has been referred to the county attorney for further review. The fourth allegation— making political calls while physically in his office—is what Slockett is currently appealing. Slockett said in his job “a 60-hour work week wasn’t unusual” and county auditors have a legal responsibility to work Saturdays at least two weeks prior to an election. The board chose not to issue stronger sanctions against Slockett for the infraction on making calls while in his office, in part, because he had been relying on advice from the current county attorney and a former county attorney. Both told him it’s permissible to use government resources for campaign purposes as long as there’s no additional cost to the county.